← What do you want in your suitcase? The very sound of the word implies selfishness. Disapproval. Deprivation. Not many positive emotions or ideas seem to result from saying no. So, let’s change that, shall we? 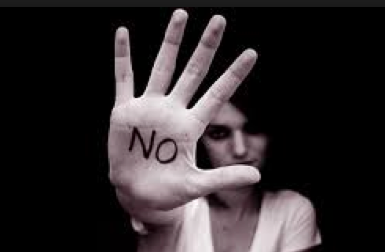 Many of us have difficulty saying no, even when we don’t want what’s being offered. We might not want to disappoint, hurt, or alienate others. We’re reluctant to appear ungrateful, lazy, not a team player. Perhaps we were expected to always agree or pitch in when we were children. While there are many reasons we might say yes when we mean no, I’d like to talk about ways to decline, while still maintaining the relationship, helping others, and being true to ourselves. How will this work advance my goals or honor my values? If I say yes, what must I say no to? If I say, no, what is possible in its place for me? Then we can check our calendar and see if there is actually time to satisfy the request! Many times we feel there are just two possible choices – yes or no. In fact, there are usually other options if no is the appropriate answer. If asked to chair a committee, we can instead agree to serve on the committee. If asked to work on a long term project, we can offer to work on a time-limited portion of it. If asked to contribute to something we have no interest in, we can ask what other work is needed and see if anything does pique our interest. Is there someone else who might learn a skill, be better suited, or improve their position in the group by doing this instead of you? Suggesting an alternate individual can be just as helpful as saying yes. Lastly, if contribution of any sort isn’t wise or possible, we can still acknowledge the efforts of the person who asked. “Even though I can’t participate, I believe in what you’re doing and appreciate your efforts,” goes a long way and provides a sense of encouragement that can be very helpful. Too often, we fall prey to the same forces that mysteriously caused our hand to rise whenever volunteers were requested. Several years ago, a good friend asked me to coordinate a new project. Although I had no interest in it, I didn’t want to disappoint my friend – so I agreed. Without any inherent drive, my efforts didn’t go far and what I had wanted to avoid is exactly what resulted. My friend was disappointed, and I was disappointed in myself. Our relationship suffered as a result. 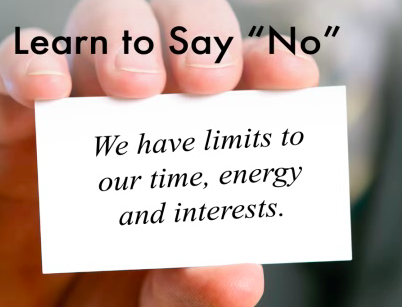 So rather than continuing to fill our already overcrowded lives, spend time on things that don’t serve us or our goals, or risk disappointing those who mean the most to us, let’s all improve our ability to say, “no.” It might be one of the most powerful skills we can acquire. This entry was posted in effective communication in healthcare, honesty in medical care, physician coach, physician coaching, physician communication, physician fulfillment, physician work life balance, work life balance and tagged leadership, physician coach, Physician coaching, Physician fulfillment, Physician work life balance, relationships, saying no. Bookmark the permalink.